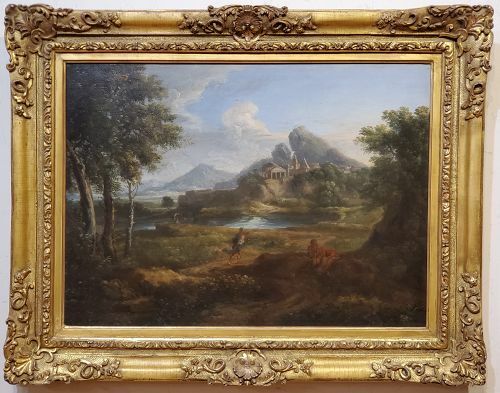 Roman landscape with classical figures. Oil on canvas, approx. 18" x 25" and 26" x 32" in the expensive custom gilt frame. The attribution to Dughet is reasonable. Circle of Carlo Cignani, Italian, 1628-1719, Oil on Canvas After Carlo Dolci , Italian (1616 - 1686) Guiseppe Costa, Italian, born 1852.